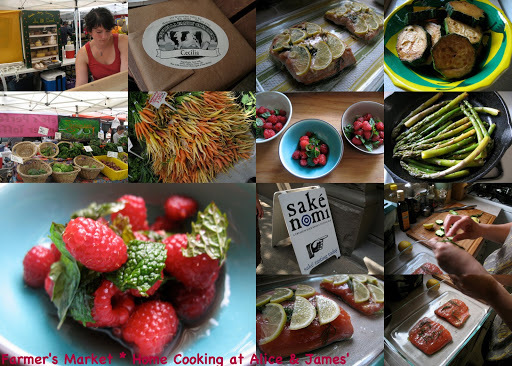 Spent the long weekend up north with Alice and James. All of us are into good food, and we were non-stop feasting throughout the holiday. Yum. When i first told Alice that we are coming to visit during July 4th long weekend, she started planning the “feeding menu”. She said Seattle has the best tapas she has ever tasted. 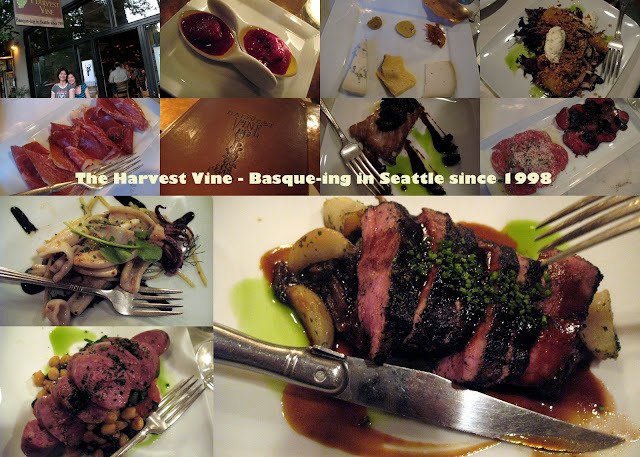 Friday evening we tried out her 2nd favorite restaurant (Her number one favorite closed after we made a detour at REI flagship store) – The Harvest Vine. I was pleasantly surprised that it was actually a Basque style restaurant. Because the best tapas in ZM and my memory was from in a little Spanish town – Girona. That was also Basque style tapas. The food was delicious. Our favorite was the last course – grilled lamb loin with garlic, and caramelized onion. We finished the dish in mere seconds. During the day, A&J took us to a cute little store called Paseo for lunch. Alice’s order was the best – seared scallop. Hours: Tue-Sat. 11:00 a.m. – 9:00 p.m.
We told the Canadian custom officer at the border that “the purpose of our trip” was to eat because Vancouver has the best Canton style Chinese food on Westcoast of the American continent. He just laughed and waved us in. We had dimsum at Fisherman’s Terrace. 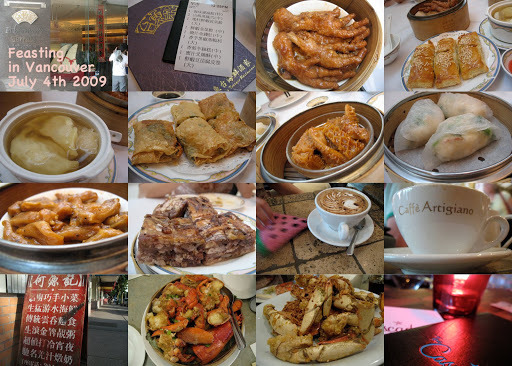 It is the 2nd best Dimsum place on Alice’s list. The number 1 dimsum place –Kirin Restaurant– told us that the wait was 3 hours and we should have made reservation 2 days in advance. Fisherman’s Terrace. is located in a shopping center called Aberdeen: a 100% replica of a HK mall. It was filled with Chinese style shop/brand. Dimsum was excellent. I don’t usually eat chicken feet. But these place’s chicken feet is really sensational. Tripe and Seafood dumpling in soup were also very yummy. The only disappointment was the duck tongue and taro cake, everything else was delicious. We started the “crab count down” since mid-afternoon. Because Alice and James loved their crab rice pot dish – Ho Yuen Kee – they had it everytime they came to Vancouver. it was very very delicious. We made the right decision to call in and made a reservation too. Crab was better than the lobster, ROI-wise. We also had good coffee at Caffe Artigiano(Hornby, because they have a special coffee press that’s hard to find) and good cocktail at the Cascade Room.